Jonathan Whicher was one of the original members of the Detective Branch which had been established at Scotland Yard in 1842. In 1860 he was called in to assist the investigation into the horrific murder of a child (Francis) Savile Kent who was just short of his fourth birthday. Savile is sometimes spelled differently. The child had been taken from the nursemaid's bedroom at night and was found, with his throat cut, in an outside privy in the garden of his family's house the next morning. The murder brought notoriety to the small village of Road, Wiltshire. In the house lived Samuel Savile Kent, a factory inspector with ambitions for promotion, who had suffered from the effects of local gossip and disapproval, and had therefore moved house several times. His first wife, Mary Ann, bore no fewer than 10 children between 1829 and 1845, one of whom, Constance Emily, was born in February 1844. Samuel Kent was rumoured to have started an affair with the resident governess, Mary Drew Pratt, and after his wife had suddenly died in May 1852, he married the governess in August 1853. She eventually bore him five other children, including, in 1856, Francis Savile Kent, the murder victim. When the nursemaid, Elizabeth Gough, reported the child missing at 7.15am to Mrs Kent, a search commenced for him, but Mr Kent personally drove off to Trowbridge to inform Superintendent Foley rather than relying on the local police to pass a message, and seemed to have more knowledge about the details of the crime than he later admitted. A controversial inquest took place, in which the coroner first restricted the witnesses to servants of the house, police officers and medical practitioners. It needed the jury to insist that the family itself be questioned. The coroner went to the house and even then questioned only Constance and her brother William. Mr and Mrs Kent were never formally examined. Whicher was called in to help, and started his enquiries by concentrating on a missing nightdress belonging to Constance. He established that Constance had had an opportunity to have withdrawn another of her night garments from the laundry basket as a ruse to blame the shortage of night wear on to the local woman who did the household's laundry. He reported his suspicions to the magistrates. There was also other circumstantial evidence. The magistrates directed Constance's arrest and gave Whicher seven days to prepare the case against her. Mr Kent provided a barrister for his daughter who dominated proceedings. Constance was released on bail and the case was later dropped. The reaction in the newspapers was sympathetic to Constance and Whicher was heavily criticised. His reputation never recovered. 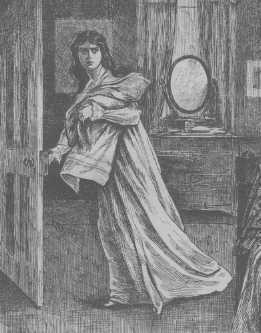 The nightdress was never found and Whicher returned to London. Subsequently the local police conducted a prosecution against Elizabeth Gough, but that also failed. 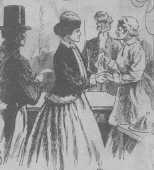 The case is a classic illustration of how early investigations were directed heavily by magistrates, of the influence which well-to-do people could exert over local police officers, and of the importance of immediately searching and questioning the whole household at the scene of a crime, regardless of social status. Later, Constance Kent admitted her crime after a conversation with the Mother Superior at the religious establishment at Brighton where she lived, and went to Bow Street court where she made a confession of carrying out the crime. 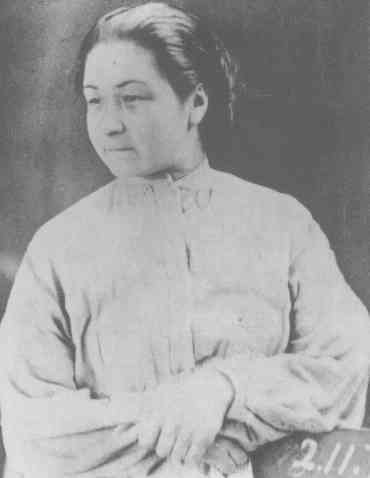 She pleaded Guilty and was sentenced to death, but later reprieved by Queen Victoria. By the time of her confession, Whicher had been retired from the Police Service because of ill health, and some of the newspapers which were so critical of him at the time, published editorials vindicating his original judgement.